In the hearing with the Department of Water and Sanitation on accruals and payables, The Auditor General had suggested that there were insufficient funds, as DWS commitments were not equal to projects. Accruals stood at R537m and “Payables not recognized” stood at R1.4 billion. SCOPA asked from where the money was to come. The Acting DG explained that currently R81.6 million was outstanding in accruals. R1.922 billion had already been paid. It was difficult for her to say where the money had come from. She was reporting on figures received from the CFO as on 4 December 2018. SCOPA asked that the question from where the money had come need to be answered as well as a list of what had been paid and what had not, as well as who was responsible for double payments in a written response within seven days. All companies owed at 31 March 2018 were listed. Progress since that date should list who had been paid, and who not. The DG only had a list of who had not been paid. Members suggested that there appeared to be a lack of cooperation in the Department and the Acting Director General was being undermined as she did not have information. Others suggested that the Acting DG was failing to call officials to account. DWS was criticised for inadequate monitoring of implementing agents (IAs) such as Lepelle Northern Water. Interrogation of Lepelle Northern Water, especially about the Giyani project, was intense. The Committee was in agreement that treating the Giyani project as an “immediate emergency” was a ruse to avoid competitive bidding and that now amounted to R2.2 billion. The CEO of Lepelle Northern Water was confronted with the Auditor-General (AG) and Special Investigating Unit (SIU) findings. Matters raised included departure from due process in appointing a turnkey service provider and exorbitant costs incurred, especially for boreholes which each cost R1.4 million. Value for money was doubted, and there was outrage about the escalation of project costs, and bad project planning. Members declared that the Giyani project smelled of corruption. The Chairperson concluded that it was clear that a lot went wrong with the Giyani project. Things were planned in dark corners, and then emerged as well planned projects, but without money to support it. It was clear from National Treasury that it was made to look like an emergency, but then became an established process in DWS. The investigations had to be concluded, and then the matter would be taken up again. The Chairperson welcomed the Deputy Minister. The focus had been on deviations and expansions the day before but irregular and fruitless and wasteful expenditure were not yet exhausted. Each irregular expenditure item needed its own investigative conclusion. It had either to be condoned or action had to be taken against officials. There was a need to recover monies lost through fruitless expenditure. Deviations and expansions were only allowed in exceptional cases. There were cases where competitive bidding had been avoided. Accruals and implementing agents (IAs) would be dealt with on the day. 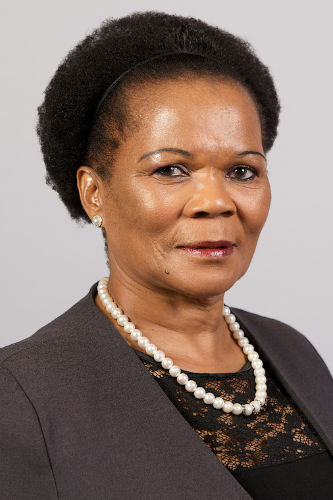 Deputy Minister Pamela Tshwete announced that the Minister would be attending later. Ms N Mente (EFF) commented that the Minister had made remarks the day before that had left a bitter taste. Glaring weaknesses of the Director General and the Department were admitted. The question was what the Minister intended to do. Even if there was a turnaround, the Department was still bound to fail, if there was inefficiency, weak controls and no leadership control. She proposed that if the Director General failed to answer, that the Deputy Directors General be allowed to do so. The evening before, three DDGs had signalled that they knew the answers. The Chairperson remarked that the last comment of the Minister could become problematic. If DDGs were allowed to answer, it could be used to serve other ends. There was currently an Acting DG. It was not advisable that there be pockets of knowledge, not at the disposal of those who had to use it. It posed the risk of devolving responsibility. Mr C Ross (DA) agreed with Ms Mente that the Minister’s remarks caused concern. When it came to irregular or fruitless and wasteful expenditure, two wrongs did not make a right. Some officials did not want to sign off on proposals. It would be better to park the matters till the Minister could answer. Ms Mente noted that the AG had observed about accruals and payables that payment was not done within 30 days in some instances, nor even in 90 days. Management could not pay as there were insufficient funds due to continual Water Trading Entity overspending in the past. She asked the DG how many years of accruals had been on the books. Ms Deborah Mochotlhi, DWS Acting DG, replied that time after time payment was stopped by the then Acting CEO, and at one point by the Acting DG. The proposed solution was to reprioritise the budget so as to focus on ongoing matters, and not to spread the budget too thinly over too many projects. Accruals in the previous year occurred because there were insufficient documents to justify payment, and invoices were returned to service providers. Ms Mente asked for the amount involved. The DG replied that it was R81.6 million. Ms Mente asked if that was on the DWS books. The DG replied that it was so. Ms Mente asked the DG to utilise the document where it referred to unnecessary accruals and payables for 2017/18, and to read out the total amount. The DG read out the amount of R537 million. Ms Mente said that before a plan was given for how to clean the books, it had to be understood what “payables not recognized” meant, as stated on the main account. The amount was R1.4 billion. The AG opined that there were insufficient funds, as commitment was not equal to projects. Accruals stood at R537m and unrecognised payables at R1.4 billion. She asked from where money was to come. The DG replied that currently R81.6 million was outstanding. R1.922 billion had already been paid. Ms Mente remarked that if R1.9 billion was paid, DWS was covered. The books were nearly clean, but the question remained about from where the money had come. She asked where the money had come from. The DG replied that it was difficult for her to say. She was reporting on figures received from the CFO, as on 4 December. The Chairperson noted that a statement without breakdown was received from the Acting CFO. However, it had to be stated what had been paid and what had not. The DG replied that she hoped that the CFO could explain to the Committee. The Chairperson told her that it was not for the CFO to explain to the Committee. The CFO had to explain to her, the DG. The DG replied that she only had a list of what was not paid. The Chairperson said that all companies owed at 31 March were listed. Progress since that date should have been stated, to see who had been paid, and who not. The DG replied that she had thought that her colleagues could answer about that. The Chairperson told the DG that she was the only one who held the title of DG. In future, if there was an update, she had to provide it. It stated that only R80 million was still owed, but there was an earlier reference to R537 million. Ms Mente commented that on page 2 of the list of accruals, it cited that Amatole District Municipality was owed R32 million. It had been reported that there was no water, no money and councillors were not paid. She asked if Amatole had been paid out of the R1.9 billion. Mr M Hlengwa (IFP) said that given the volume of the amounts, the DG should have showed an interest in a progress report on payments. The question was to what extent the DG was involved in the finalisation of payments. The information she was submitting now pertained to what happened during her term of office. The DG replied that she had asked the CFO for a list of paid and unpaid accruals. He undertook to email the list to her. In reply to Mr Hlengwa asking if she had received the list from the CFO, the DG replied that she did not. Mr Hlengwa suggested that the Acting DG was being undermined. There was no due regard for accountability. The Chairperson asked if she had tied the information request to a deadline. The DG replied that she did not always give deadlines. The Chairperson remarked that without deadlines, how was work flow to be managed. The DG had the authority. He asked what she did when the CFO failed to provide the information. The DG could not confirm what was paid, because the information was not supplied to her. Did she request the information in writing? That question was linked to what she did when the information was not received. The DG replied that sometimes there was not sufficient time to follow up on all the issues. She had only occupied her position for six months, and had attempted to understand the workings of the Department. She was motivated to prioritise matters and did her best. She had thought that senior management could be relied upon. Ms Mente told the DG that when the AG had made pronouncements about accruals and payables, the DG’s immediate response should have been to ask what actions had to be taken. She had come up with information taken from archives. There was no effort to provide clarity on the current status of DWS. The Chairperson commented that not providing deadlines was not good practice. The DG said that she had only been in her position for six months, and was doing her best. That statement was valid as a subjective comment, but for the objective situation of the Department, it was not good enough. The DG claimed concern about who had had been paid, but failed to provide a breakdown. It was not sufficient to simply state the total amount not yet paid. Mr E Kekana (ANC) remarked that he had not been present the day before, but what he was seeing was sabotage of the Department. He could see that the Department was not a team. Individuals did what they wanted to do. It was clear to see why other DGs had resigned. The political leadership had to be talked to. People were not cooperating to provide answers. He was an HOD once, and he had worked with mafias like that. DWS was in a state of collapse. The staff was not supporting the Acting DG. There was a huge contingent from the Department present at this meeting, having a holiday. The Chairperson suggested that the saboteurs were not present. Mr Hlengwa remarked that the Acting DG was already in her position when the payments discussed were made. The DG was distancing herself. One would assume that an Acting DG would want to occupy that position permanently. It was a chance for the Acting DG to prove her clout. It was her job to exert authority and to hold people to account. As the DG, it was her responsibility to go through the findings of the AG. He was still interested in the financial status of the Department as at 30 November 2018 about the manner of payment and from where the money had come. The DG had to take SCOPA into full confidence. It was a matter of going back to basics. He doubted the integrity of the information supplied. Ms Mente remarked that the DG had failed to ask for the information required, so the Committee had to demand it. She asked that it be emailed to the Committee Secretary in writing. SCOPA had to know who the R1.9 billion had been paid to. Constituencies were saying that they had no water, and yet it was claimed that payments had been made. Accruals and unrecognised payables were a major contributing factor to DWS status as a going concern. If the R1.9 billion was paid, the problem of its status as a going concern was a thing of the past. The AG had recommended that there be no new projects for a period of three years. Payments had to be monitored from Head Office. There was concern about the availability of funds and budgets. Requests for approval of unauthorised expenditure had to be in line with normal parliamentary processes. There had to be normal monthly reporting and consequence management to address non-compliance. She asked which of the recommendations referred to on page 253 of the Annual Report had been followed. The DG replied that the CFO was responsible for monitoring from Head Office, and provided reports on that. She had reported the day before about addressing non-compliance. When investigations had been concluded and there was confirmation of wrongdoing, action was taken. Ms Mente asked if new projects had been entered into. The DG replied in the negative. Ms Mente reminded the DG that she had claimed that payment was monitored from Head Office to confirm availability of funds and budgets. She asked who conducted meetings about payments. The DG replied that the CFO conducted monthly meetings, and provided a report to finance management meetings. Ms Mente asked why the DG lacked knowledge about accruals and payables, if she sat in on those meetings. The DG replied that the CFO met with finance people at regional level, and provided the information in management meetings. She was able to report that everything was paid except for hotspots in North West province. Ms Mente asked if Amatole was on the not paid list. The DG replied that it was not. Ms Mente asked how it was ensured that there was value for money for every payment made. The DG replied that the contract manager had to make sure that there was value for money. The project manager and the quantity surveyor visited construction projects. However, there was lack of capacity and the quantity surveyor could not visit all projects. Ms Mente put it to her that R32 million was paid at Amatole but the people did not have water. This indicated that there was no value for money. The DG replied that it depended on what was paid for with the R32 million, and where it was applied within the entire Amatole area. Regional heads were responsible for seeing that the money paid resulted in water supply. There were errors related to water services in municipalities. Ms Mente remarked that R1.9 billion was paid, but there was no monitoring tool, it was impossible to get information about what was done with the money. The Chairperson advised that because of time constraints, IAs had to be proceeded to. 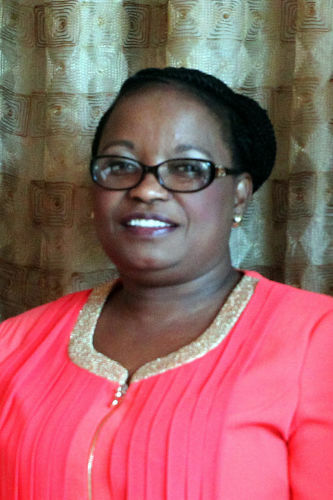 Ms Mente referred to the irregular expenditure incurred by Lepelle Northern Water. It emerged the day before that there was irregular expenditure due to non-quorate bid committees. She asked if DWS was represented in the bid evaluation and bid adjudication committees of IAs. The DG replied that the Department was not represented. Ms Mente asked why that was so. The DG replied that until the previous year the practice with IAs had been that a procurement report was supplied to the Department once the IA was running a project. Sometime in the previous year, the AG had asked about IAs and irregular expenditure, and DWS had decided that there had to be change. A circular was sent out that an IA could not vary a project without approval. Ms Mente asked about the role of DWS in monitoring IAs about the directives issued. The DG replied that DWS had to ensure that the project stayed within the contract amount. Ms Mente asked if there was a specific person or component that monitored the day to day doings of the IA. The DG replied that there was no specific person. The Chief Director of Institutional Oversight dealt with institutions. Who liaised with the IA varied from project to project. Ms Mente asked if there was a monitoring and evaluation component in DWS to supervise IAs. The DG replied that it mostly fell under the Infrastructure Branch. The planning, monitoring and evaluation unit was still new. Ms Mente noted that the reasons given yesterday for irregular expenditure was that IA projects did not follow due processes. She asked what the DG and supervisors of IAs did when bid committees were not quorate, when thorough processes to appoint companies were not followed, when markets were not tested and bidding did not take place. She asked what DWS did when due process was not followed in appointing IAs. The DG replied that IAs in municipalities had their own processes. The Minister could write to the Chairperson of a Water Board as IA to ask for an investigation. Ms Mente asked how funds for IAs were appropriated. The DG replied that it was done, for instance, by identifying municipalities that qualified for drought relief to be paid from a drought relief fund. Money was provided by DWS through grants or appropriation. Ms Mente asked if it was not the business of DWS if the money was not spent rightly. The DG replied that she would compare the past and the present, and look into conditions to be met by municipalities for grants. Ms Mente remarked that the DG was saying that there was a new monitoring process, but it was not attached to a physical component. When asked what role she played, the DG replied that municipalities did their own thing, and only then reported back. Bad work done by municipalities was not investigated. Was the DG saying that she had no role to play, to ensure compliance with the PFMA and Treasury regulations? The DG replied that she required documentation from municipalities. It was no longer accepted that money was transferred and nothing happened. Ms Mente noted that audit committees cited that double payments were made by municipalities. DWS should rightly follow up to check on double payments, but it was not done. Municipalities and IAs had to initiate their own processes to reverse money. The question was how money was recovered. Double payment amounts were R399 000 for Lepelle Water; R10 million for Rand Water; R12.7 million for Chris Hani municipality; R2.3 million for Amatole; R7.4 million for the Water Trading Entity, and R56 000 for Sedibeng. The total was R33 million. The DG replied that while the project was still running, there would be reconciliation at the next submission of invoices, with deduction of money that was double paid. She was not aware of amounts not recovered. Ms Mente remarked that double payments were cited by the AG. DWS supplied names of people who were responsible for double payments on finalised projects in the previous year according to provinces. She asked what happened to people who had made double payments. The DG asked if the CFO could respond to that. Ms Mente noted that the information was brought to SCOPA in February 2018. The Chairperson asked the CFO if the Chris Hani municipality had paid back the money. The CFO replied that all double payments were recovered, except for Sedibeng Water. Ms Mente suggested that double payments were deliberate, and that the AG had picked up on this. She again asked what happened to officials who had made double payments. The DG replied that she could supply the information later, as she had to check records. Ms Mente instructed that the irregular expenditure referred to the previous day, had to be accounted for, item by item. Where a bid committee was not quorate, the company, current status of the project, and the person responsible had to be listed. She would question the relation between the DG and DWS finances. The DG responded that irregular expenditure was still being investigated. If it was brought in February 2018, details could be in the 2016/17 Annual Report. She could check for disciplinary cases. Ms Mente reminded her that irregular expenditure was cumulative for the year. The priority for the DG had to be the six months since she had held office. She asked how long the DG needed to come up with an answer about double payments. The DG replied that she could do so by the coming Friday 7 December. At this point Mr Ross complained that he could not hear the DG. The DG explained that she could not lean forward into the microphone because of back pain, and that she was generally not well. Ms Mente told the DG that in that event she would have mercy on her, and that the information could be supplied by the morning of Tuesday 11 December. The CFO had to provide details on who was paid back, and where the money had come from. Ms Mente referred to the situation at Lepelle Northern Water, where directives had been issued since 2012. There were five directives then, and two more in 2017. Lepelle continued to appoint service providers irregularly. Some of the cases were for the DWS to intervene on an emergency basis. In the case of Giyani, there was a directive for the refurbishment of Giyani water, boreholes, and restoration of water to Chris Hani Hospital. Ultimately there was an SIU report, after the President had signed a proclamation to investigate abnormal inflation of prices and irregular appointment of service providers. She asked the DG about the DWS role in determining value for money for the Giyani project implemented by Lepelle Northern Water. The DG replied that there were site visits by the project manager, sometimes accompanied by a quantity surveyor. The SIU had reported that there was not value for money, based on the evidence of an engineer employed by the AG. Ms Mente asked the CEO of Lepelle Northern Water to take the Committee through what happened at the Giyani water project, and why the project had ballooned from R500 million to R2.2 billion. Mr Phineas Legodi, CEO: Lepelle Northern Water, replied that Lepelle Northern Water received a total of 10 directives from DWS. A project was initiated at Giyani, following concerns of residents in the Mopani District Municipality about water and sanitation challenges, especially at Giyani. There was a directive for Lepelle Water to intervene immediately as from 18 August 2014. The intervention was directed at Giyani water treatment works and waste water treatment works, boreholes for water supply and restoration of water to Chris Hani Hospital, and infrastructure to restore water supply. There had to be a technical assessment of the whole of Mopani municipal areas. There had to be immediate intervention, and administrative procedures were fast tracked. An implementation steering committee was established, and a business plan, budget and technical assessment had to be provided by 15 September 2014. A directive was given to act. The startup capital provided was R100 million. More money would be provided once a business plan was approved by DWS. The funding required was increased to R2.8 billion. The scope included acceleration of work on Giyani water treatment works, the drilling of 154 boreholes, the restoration of water to Chris Hani Hospital, and infrastructure in the form of eight pipelines. The area covered included 55 villages. The business plan also addressed the water and sanitation needs of Mopani in the long term. Ms Mente asked which of the objectives were achieved. Mr Legodi replied that water was restored to Chris Hani Hospital. 138 boreholes were dug, and 8 pipelines were replaced. There was 92% progress. Of the boreholes, 87 were non-functional due to vandalism and theft of infrastructure. DWS could no longer keep a security company in place. Ms Mente asked how much had been paid out. Mr Legodi replied that it was R2.4 billion, out of the R2.8 billion. Ms Mente asked for a project breakdown. Mr Legodi replied that the boreholes amounted to R57.5 million. R75 million was spent on revitalisation of Giyani waste water works. Of the eight pipelines replaced, pipeline A cost R138 million; pipeline B R487 million; pipeline C R74 million; pipeline D1 R54 million; pipeline D2 R550 million; pipeline F1 219 million; and pipeline F2 113 million. Pipelines covered 335 kilometers. R2.31 billion was paid, and there was 92% progress. Ms Mente asked who performed the work. Mr Legodi replied that LTE was appointed as service provider, on a turnkey basis, which meant that it was the main service provider, who could mobilise additional resources. Ms Mente asked what was paid to LTE. Mr Legodi replied that it was R331 million. Ms Mente asked if he had looked at the AG reports on the appointment of LTE. Mr Legodi replied that it stated that an emergency process was followed, and that there was non-compliance. Ms Mente asked what should have been done if it had to adhere to the rules. Mr Legodi replied that there would be a proper plan when the project was conceived, before it was given to Lepelle, with the emergency already defined. Lepelle could then act on instructions, appoint on an emergency basis, if the project was already scoped. Ms Mente asked to what kind of emergency he was referring. Mr Legodi replied that the former Minister was on site on 12 August 2014, and observed that Giyani water treatment works was dysfunctional, as work by the municipality was proceeding at a slow pace. Boreholes were dysfunctional, people were drinking polluted water, and people were drinking contaminated water, and there was a cholera outbreak, which claimed some lives. Ms Mente put it to him that work on one village had ballooned into a project that spent R2.4 billion. Mr Legodi replied that that was incorrect. The Minister visited Giyani, there was an imbizo and the Minister addressed 92 villages in Giyani, of which 55 were seriously affected. Treasury regulations defined an emergency situation as one that posed a threat to life, and there were deaths from cholera. Ms Mente remarked that 80% of the work did not function. The SIU reported that there was no water in Giyani. LTE cropped up often in reports of irregular expenditure. DWS and Lepelle always seemed to appoint it. Abnormal amounts were paid to LTE, and service to the end user was bad. The Chairperson asked National Treasury to comment. Mr Solly Tshitangano, Treasury Chief Director: SCM Compliance Monitoring in the Office of the Chief Procurement Officer (OCPO), replied that Treasury agreed that the LTE appointment was irregular. It amounted to single sourcing for an emergency. There was no identifying and selecting process. A list should have been compiled. LTE was simply name-dropped. If R2.3 billion went to companies appointed by LTE, it had to be asked how it could be assessed that the amount paid was fair and the process competitive. Ms Mente said that the consultation fee paid to LTE was R331 million. She asked if Treasury would have authorised that. Mr Tshitangano replied that there was a time period between DWS becoming aware of the emergency and Lepelle implementing the project. Treasury regulations stipulated 21 days for the bidding process, which could be reduced to 14 days. If that time was available, it could not be viewed as an emergency. The process used to select had to be fair and transparent, whether there was an emergency or not. Ms Mente asked for the time period between receiving the directive and taking action on it. Mr Legodi replied that there had to be immediate action. The Chairperson asked if “immediate” was explained. Mr Legodi replied that he took it to mean at that very instant and all else followed from that. The Chairperson asked if he had checked what the law prescribed, in terms of immediate emergency execution. Mr Legodi replied that he read the Supply Chain Management (SCM) emergency guide. The Chairperson told him that the definition went beyond a subjective interpretation of ‘immediate’ and how he had reacted to it. Mr Legodi replied that the process was clear. Bidding could be dispensed with. In urgent cases, where early delivery was important, bidding could be impossible or impractical. A directive was given to act immediately. A departmental panel was formed where there was open advertisement, evaluation and adjudication, and names placed on a roster. He wanted confirmation from the DWS General Manager that LTE was on the roster. The Chairperson asked why that did not make sense to the AG. Mr Legodi replied that there was a need for an open tender process, using a departmental panel, and not an independent panel. The Chairperson remarked that it implied that this was not a Lepelle process but was a DWS process. He asked Treasury to respond. Mr Tshitangano responded that if the panel for a contract was arranged by another organ of state, letters had to be written to DWS and to the supplier. One could not say that one was not aware, it had to be confirmed that it was done, to assure oneself that there was a competitive process. Ms Mente said that she could not believe that the CEO followed due process. He had to inform the Minister about the proper process to follow. The interpretation of “now” resulted in expenditure of R2.4 billion. She asked if the CEO had told the Minister that rules had to be followed. Mr Legodi replied that the bureaucrats did the prior work. The legal implications of the directive were impressed on the Minister, up to the level of DG. When the directive came to him, he had to proceed to implement. The Chairperson said that that was where things went wrong. Once the directive was with the CEO, it was not up to DWS to prescribe how to comply with the law to implement. He asked about the date of the letter. Mr Legodi replied that it was 14 August 2014. He had to intervene as from 18 August 2014. The Chairperson asked if the steering committee was formed before or after LTE was appointed. Mr Legodi replied that it was before. The Chairperson asked if the business plan was drawn up before or after the appointment of LTE. Mr Legodi replied that it was after. The Chairperson asked when the steering committee was established. Mr Legodi replied that it was on 12 August. The Chairperson noted that when the Minister visited on 12 August, there was as yet no directive, but there was a steering committee. He asked how many steering committee meetings were held before LTE was appointed. Mr Legodi replied that there were two meetings. The Chairperson asked when LTE was appointed. Mr Legodi replied that it was on 20 August. The Chairperson asked what LTE did, before there was a business plan. Mr Legodi replied that LTE assessed the scope of work to be done on Giyani waste water, boreholes, pipelines and Chris Hani Hospital. Ms Mente noted that LTE was paid R331 million for consulting. She asked when and how costing was determined. Mr Legodi replied that what was paid depended on the value of the contract. LTE fees were based on the Engineering Council of South Africa (ECSA) scale. Ms Mente noted that LTE would scope and cost the work, and would receive 5%. Mr Legodi replied that the scope of work was in the directive, and LTE was appointed on a turnkey basis. Ms Mente noted that the consulting fee was set at 5%, before there were any services or vision of the end product. The 5% was paid out before it was determined whether service was good or not. Mr Legodi replied that he was not saying that the R331 million was cumulative, or that a lump sum was given. The Chairperson noted that 5% as a consultation fee of R2.8 billion would come to less than R331 million. Mr Legodi replied that LTE also did design and project management. The Chairperson told him to refrain from adding explanations. Ms Mente asked what LTE was used for. Mr Legodi replied that the directive prescribed that there was to be scoping for the entire Mopani intervention. But there were other projects like Nandoni, and the consulting fees might have been lumped together. Ms Mente asked how many times LTE was used. Mr Legodi replied that it used for the Giyani and Nandoni pipelines. Ms Mente asked if both were emergency projects. The CEO had claimed that LTE was appointed on a rotational basis for Giyani, but it was used again for Nandoni. Mr Legodi replied that it was the same appointment. Development of a business plan for the whole of Mopani included the pipeline from Nandoni to Giyani. The Chairperson said that the emergency was used to appoint LTE, and then the work was extended to the whole of Mopani. The pipeline from Nandoni to Giyani became another project. He asked if the 5% to LTE included the Nandoni to Giyani pipeline. Mr Legodi replied that Nandoni and Giyani were two separate projects in terms of construction, but consultation fees were reckoned for both together. Mr Tshitangano commented that the Nandoni pipeline was an earlier project implemented in the Mopani District. The court had ruled that the tender for the supplier was irregular. Ms Mente noted that the AG findings on Lepelle Water stated that there were different projects under different codes, that the CEO linked them to appoint LTE, and that the scope of the work had changed. The AG and DWS were not provided with the LTE contract. The AG also stated that LTE would receive more money as 5% of the scope, as the scope was changed. Mr Legodi replied that the contract was drafted and signed by Lepelle. There was no signature from DWS. Two business plans were developed, the first to address the emergency, and the second to speak to the entirety of water and sanitation needs in Mopani. The Chairperson asked what the initial amount granted was, when the directive letter was received. Mr Legodi replied that it was R100 million, which was developed to R2.8 billion. The Chairperson said that the R100 million and the emergency entry opened the way for a bigger project. It was possible to deal on an emergency basis with the water treatment, the boreholes and the hospital. But it was questionable that an emergency project could run up to R2.8 billion. It was dishonestly drafted and Mr Legodi played along with the duplicity. The emergency was a ruse. Ms Mente agreed and she was not convinced that there really was an emergency. It was a well orchestrated ‘emergency’ that paved the way for a bigger project. Security and advanced borehole technology was included in the price. SIU stated that according to a company consulted in its investigation, the price for a borehole was normally not beyond R100 000. But the boreholes at Giyani cost R1.4 million. SIU made a referral on 26 February 2018 that the Lepelle CEO be charged with negligence and contravention of the PFMA, and for collusion, fraud and forgery. She asked the DG if she received the referral. The DG replied that she did. Ms Mente asked what steps were taken. The DG replied that the Minister wrote to the Lepelle Chairperson. Ms Mente told the DG that although she had stated that there was a new system to deal with irregularities in IAs, she seemed to have no role to play. The DG replied that when money had to be recovered from an entity, the Minister wrote to that entity. Ms Mente asked if the DG was aware of processes to recover money from culprits, where officials had collaborated to obtain fraudulent documents to obtain money from DWS. The DG replied that she was not aware of documents obtained fraudulently, and that she did not have jurisdiction over officials in entities. Ms Mente told her that money from DWS was sent to the IA, invoices came in that were paid. SIU stated that there was a fraudulent process, with the Lepelle CEO and DWS General Manager cooperating in fraudulent activity. She asked if the DG received the SIU report. The Chairperson told the DG that Ms Mente was not saying that the DG had to hold a disciplinary hearing, but DWS had paid the money, and those who did wrong had to be held to account. The DG had said that a new process required of her to take an active interest in holding people to account when DWS paid and someone did wrong. The DG replied that the Minister sent out a circular. The Chairperson remarked that DWS had done nothing beyond what the Minister had done. Ms Mente commented that there was no new process to monitor appropriated funds to IAs. Nothing was done after the money was sent. Money was squandered, and the question was if it could be retrieved. One had to ensure that people who did wrong had to be got rid of, and the money retrieved. SIU claimed that Mr Legodi challenged them, and had sent letters to them during the investigation. Mr Legodi denied that he challenged the SIU, he fully cooperated and supplied it with documents. The legal team was instructed to package documents that the SIU might seek, and witnesses were prepared. His only challenge was about the process. SIU went into his private bank accounts and those of his wife without a court order or permission from himself. He wanted to know why it had to be done without his permission, when he would have agreed if asked, and why SIU had to contact people he had sent money to. He went to court to stop them. Ms Mente noted that SIU claimed that he had insisted that the contracts the SIU investigated had to be investigated by a private audit firm, utilising institutional funds. Mr Legodi replied that it was not correct. Ms Mente stated that she had a problem with the DG not cooperating on referrals made by the SIU. The Minister wrote to the Lepelle Chairperson, but there was no process, nothing happened. She asked if the DG received a letter from the Lepelle Chairperson to say that there would be a disciplinary hearing. Mr Legodi replied that the charges were that he had abused the emergency, but there were no collusion and fraud charges against him. Mr Hlengwa asked how DWS prepared him, and how the steering committee was prepared. Mr Legodi replied that it was through the steering committee, which consisted of Lepelle, DWS and Mopani District Municipality. Mr Hlengwa asked what interaction there had been with DWS after the directive was issued on 14 August. Mr Legodi replied that he was prepared through the steering committee, which consisted of representatives from Lepelle, DWS and Mopani. Mr Hlengwa referred to an article in the Citizen, in which Mr Legodi had claimed that he was acting on instructions “from above”. Yet Mr Legodi claimed that he did not give an interview. Mr Legodi replied that the author of the article was from Mopani. The project was known to the media. He always gave the same answer, that he implemented a directive. Mr Hlengwa asked about the duration of the contract. Mr Legodi replied that it was five years. Mr Hlengwa said that meant that it was not an emergency project. Mr Legodi replied that five years was granted to accommodate the unforeseen. If the contract was for a shorter duration, DWS would have been unable to fund it, and the contract would have lapsed. Mr Hlengwa noted that the Minister had made an announcement on the 12th, and a directive was received on the 14th. He asked Mr Legodi what was expected of him in terms of due diligence. Mr Legodi replied that departure from competitive bidding had to be explained to Treasury. Mr Hlengwa asked if Treasury replied. Mr Legodi responded that Treasury only checked for value for money on site. Mr Tshitangano replied that the work was first done, and then reported. Mr Legodi replied that Treasury regulations at the time allowed for proceeding and reporting on an ex post facto basis. Mr Hlengwa found it strange that there was no interaction with Treasury about the emergency. Mr Legodi replied that there was interaction about deviation, and also risk assessment. It was possible that DWS would be unable to pay, hence he advised that two more years be granted. The financial scope was determined by DWS. Mr Hlengwa asked if the CEO informed DWS. Mr Legodi replied that he did so. DWS stated that it would source from other votes and programmes. Mr Hlengwa asked the Chief Director of Institutions who was supposed to provide water to the hospital. Ms Thoko Sigwaza, DWS Chief Director: Institutional Oversight, replied that it was the Mopani District Municipality, but the municipality got a court order against it for failing to do so. Mr Hlengwa asked when she was alerted to the crisis. Ms Sigwaza replied that she usually came in at a later stage in the process, as it originated at regional level. Mr Hlengwa remarked that there was a laissez faire attitude towards the hospital, and then suddenly it became a crisis. Directives were not compiled in good faith. The question was what virements could be anticipated between 14 and 18 August. He asked about the initial capital. Ms Sigwaza replied that R100 million was made available, followed by a business plan. Mr Hlengwa asked from where the R100 million came. Ms Sigwaza replied that it was from available projects. Mr Kekana noted that the AG had found that a number of directives were issued by the Minister, which resulted in irregular expenditure. Directives were for Rand Water, Sedibeng, and Lepelle. At Sedibeng the implementation amounted to R143m, and there was no competitive bidding. Was the DG was aware of that? The DG replied that she was aware. Mr Kekana noted that Lepelle was used for two projects, and appointed service providers without competitive bidding processes. The amount involved was R467 million. He asked the DG what was done about that, and the Lepelle CEO why due process was not followed. Mr Legodi replied that a competitive bidding process was followed for the Tzaneen Dam. Lepelle participated in a departmental panel. There was a closed tender process, entities were invited to express interest and an appointment was made. It was cleared with the AG. Mr Kekana asked Mr Legodi how long he had been CEO. Mr Legodi replied that it was his second year as substantial CEO. Mr Kekana asked if he was familiar with the PFMA. Mr Legodi replied that he was. Mr Kekana asked if it was permissible to do a closed tender for a R467 million contract. Mr Legodi replied that it was, if a departmental panel was used. Mr Kekana noted that the AG had found that Lepelle did the appointment. Mr Legodi replied that he was not aware of the finding. It only applied to Giyani. Mr Kekana asked if DWS had appointed for the Tzaneen Dam, with Lepelle only invited onto the panel. The DG replied that Mr Legodi was in a departmental panel, and chose from departmental data. Mr Legodi replied that Lepelle used a departmental panel to invite five entities to submit closed bids. There was evaluation, adjudication and appointment. There was a thrust of competitive functionality. Mr Kekana said that there was a difference between being invited to be part of a panel, or being someone who appointed. Mr Legodi had said that he was invited onto the panel. The AG said that he was appointed, and Mr Legodi was saying that he was not, he was merely invited onto the panel. He asked if the AG finding was being disputed. Mr Legodi replied that there was no such finding on the Lepelle books. Mr Kekana commented that he was suspicious. The CEO was saying that he could not find it in the books, and yet he had explained the process followed. He claimed that due process was followed, and yet he could not find it in the books. The question was if he was part and parcel of the panel, or whether he had appointed by himself. The Chairperson commented that the CEO was trying to explain that there was the thrust of competitive bidding, and why did he not accept the AG finding. It was not about the finding, as such. The CEO was protesting innocence in spite of evidence to the contrary. Mr Kekana remarked that IAs could not explain what was paid on infrastructure projects. He asked why IAs did not follow due process, and what was being done about it. The DG replied that quite a number of IAs did not supply sufficient documentation about what was paid, which was why she had said that there were accruals due to lack of documentation to justify payment. A circular was sent out and a monitoring and evaluation unit was established. Mr Kekana put it to the DG that the AG findings were directed at DWS, concerning Lepelle, Chris Hani municipality, Rand Water, and Magalies. Those were IAs that were entities of DWS. He asked what DWS did to correct irregularities. The DG replied that DWS had not concluded on AG findings. Mr Kekana noted that the AG had raised the matter of project management fees. Was there a standard rate? The DG replied that the standard rate was 5%, but there were projects where the 5% was not adhered to. Mr Kekana asked what was done when that was discovered. The DG replied that contract management was being overhauled. Different types of contract models were used. A contract review process had commenced, to try and normalise the situation. Mr Kekana asked if there was currently a monitoring process, in which the buck stopped with the DG. The DG replied that the new process was being developed through training, which exposed the majority to it. Mr Kekana asked what would happen in the event of default. The DG replied that chances of defaulting were minimised in the new process. Mr Kekana noted that Mr Hlengwa had claimed that DWS officials had assisted the Minister in drafting the directives. He asked who had come up with the scope of the project. The directive was received on the 14 August 2014, and the appointment was made on the 18 August 2014. The question was how it was possible to come up with the scope so soon. Mr Legodi reiterated that the scope was in the directive, including the Giyani water treatment and the pipelines, the hospital, the boreholes, and water treatment, and the drafting of the business plan. Mr Kekana put it to him that DWS had assisted him to formalise what was already there. Mr Legodi replied that he did not participate in the process leading to the directive. After the appointment of LTE, the business plan was approved by DWS. Mr Kekana said that it was simply not possible to come up with a proper project plan in four days. He suspected that there was a document, and that Mr Legodi had asked DWS for a directive. Mr Hlengwa asked for what purpose LTE was appointed. Mr Legodi replied that it was for engineering, construction and procurement. It was a turnkey appointment. Mr Hlengwa asked what was to be procured. Mr Legodi replied that it was other service providers and resources. Mr Hlengwa referred to a document signed by the CEO, which was a report about deviation to Treasury. It stated that Lepelle was appointed as IA by then Department of Water and Environmental Affairs. The LTE consultant fee was cited as R52 million, and Giyani water treatment as R38 million. The question was how the amount escalated from R90.9 million to R331 million. Mr Legodi replied that the startup capital of R100 million was subject to the business plan, and there were additional costs after the business plan. Appointment was made on the basis of the startup amount. Mr Hlengwa put it to him that as he had sought deviation, he ought to have known that the costs were going to shoot through the roof. He asked if the service provider stuck to the schedule. Mr Legodi replied that Lepelle was told that a business plan and costing had to be developed, to go beyond R100 million. The deadline had to be made with Treasury, as the service provider was already in the space. Mr Hlengwa put it to him that there was malicious compliance, as he did not properly advise Treasury about what could happen. Mr Legodi replied that it was not malicious compliance. The figures were estimates. Mr Hlengwa put it to him that he did anticipate escalation. Mr Legodi replied that it was not possible to project escalation while the business plan was being developed. Mr Hlengwa said that as an expert, he was sure to have known that there was to be escalation of costs from R90 million to R331 million. He asked if the R331m was determined by LTE. Mr Legodi replied that the R331m was per the business plan. There was as yet no proper plan. Mr Hlengwa concluded that an emergency was created, and estimation was farcical, with the CEO knowing that costs would shoot the roof. There was an open ended budget. Mr M Booi (ANC) asked about the DWS organogram. The DG replied that the organogram would change according to the needs of the moment. She asked to answer about the organogram on the following day. Ms Mente remarked that the cost of R1.4 million per borehole at Giyani was abnormal. Mr Legodi ought to have investigated the matter. Mr Legodi replied that the cost included drill testing equipment and sighting which cost R100 000; and packaging plants that varied in size, depending on the size of the yield. The 3 cubic meter packaging cost R537 000, the 5 cubic meter R929 000 and 7.2 cubic meter R1.4 million. When the water was tested, it was found that the quality was not fit for human consumption. There had to be palisade fencing, Eskom electrical equipment, and operational and maintenance work. The Chairperson asked what the total was for each borehole. Mr Legodi replied that it was R1.5 million on average. Ms Mente commented that the CEO saw nothing wrong with the cost of R1.4 million per borehole, with fencing costing R54 000. 87 boreholes were not functioning because of vandalism and theft, and yet costs were incurred for fencing. Mr Legodi replied that DWS withdrew funds for security, which left the boreholes exposed despite the fencing. Ms Mente said that there was a lack of planning. Lepelle decided to employ security, and then DWS withdrew funds in its own right. LTE was supposed to accept responsibility for safeguarding. The question was why securities were needed when R54 000 was spent on fencing. Mr Legodi replied that he had not taken any independent decision. Criminals could open the fence gates, or penetrate the fences. Ms Mente remarked that a proclamation was issued for an investigation, because the project smelled of corruption. It was impossible for a borehole to cost R1.4 million. A fence around a borehole could not cost R54 000. In Gauteng the MEC investigated community allegations. It was found that councillors removed water pipes, knowing that the Minister would then send in trucks. Councillors then tendered for the use of water trucks that belonged to them. At Giyani, experts installed borehole fences to secure the boreholes, and DWS had to foot the bill. The transformers were gone, and DWS would have to install them again. It was hard to believe that it was stolen by Giyani people, who needed the water. Mr Kekana asked the Chairperson to close the meeting, as it was clear that the Committee was being lied to. The Chairperson told the Minister that the Giyani matter was investigated, and it was clear that a lot went wrong. It seemed that things were planned in dark corners, and then emerged as well planned projects, but without money to support it. It was clear from the National Treasury submission that it was made to look like an emergency, but subsequently it became part of established processes in DWS. The investigations had to be concluded, and then the matter would be taken up again. He asked the Minister if he wanted to comment. 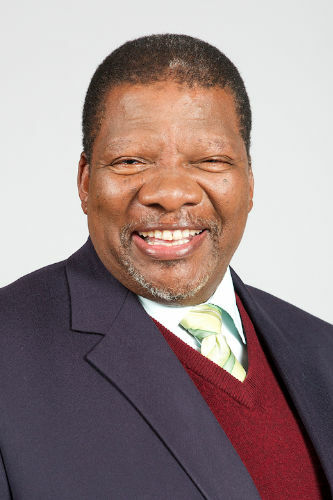 Minister Gugile Nkwinti said that since the Deputy Minister had attended the entire session, he would leave it to her to comment. The Chairperson asked the Deputy Minister to comment. Deputy Minister Pamela Tshwete thanked SCOPA for their time and patience. Questions put to DWS were similar to those of the Standing Committee on Appropriations. She was disappointed that the questions were not all answered. Some of the DWS officials had been to SCOPA before, and one would have expected them to have improved as a result of that. The Minister had said yesterday that the Acting DG was not being supported. He had advised DWS to meet that morning, and the Acting DG was not present at that meeting. She told the DG that if she was given power, she had to use it. She had to use her authority to demand to see people. She had noticed that officials were handing information to the DG during the meeting. Officials had to supply all relevant information beforehand. Notes handed to the DG during a meeting made her look uninformed. The Minister had to see to it that DWS acquired stability. There had been four DGs since 2014. She told DDGs that when they received directives, they had to take care to read them carefully and not to sign for something they could not answer for. The DG was not to write a submission without consulting with the Minister. She told the CEO of Lepelle that if he did not understand a directive, he ought not to sign it. There was also a high turnover of Ministers of Water and Sanitation. Longtime officials could very well say to the Minister that he found them there, and he would leave them there. She appealed to the Minister that everyone in DWS had to be treated equally, and all skills had to be utilised. DWS had to assist the Minister. The Chairperson thanked the Deputy Minister. He announced that SCOPA would meet again at 19h00 that evening for Treasury to present a forensic report. The meeting with DWS would continue the next day. He adjourned the meeting.